Syrian Kurdish leaders aim to secure a Russian-mediated political deal with President Bashar al-Assad's government regardless of U.S. plans to withdraw from their region, a senior Kurdish official told Reuters. The Kurdish-led administration that runs much of northern Syria presented a road map for an agreement with Assad during recent meetings in Russia and are awaiting Moscow's response, Badran Jia Kurd, who attended, said. 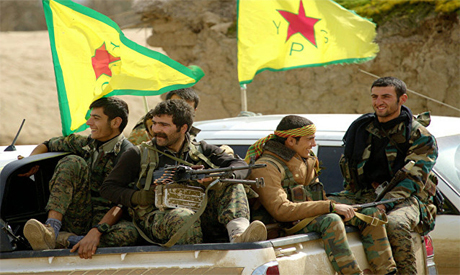 The talks with Russia and new overtures towards Damascus underline a recalibration of Kurdish strategy since President Donald Trump announced his decision to withdraw U.S. forces whose presence has stabilised the Kurdish-led region. Trump, who has not set out a withdrawal timetable, said on Wednesday the United States would leave slowly "over a period of time". He also said the United States wanted to protect Kurds, who have been vital to the U.S. campaign against Islamic State. "The final decision is (to reach an) agreement with Damascus, we will work in this direction regardless of the cost, even if the Americans object," Jia Kurd said in the northern Syrian city of Qamishli. "Our view is that (Russia) is trying to open new horizons with Damascus, this is what we sensed from them." Analysts however say their bargaining position has been weakened by Trump's announcement, which heightened Kurdish fears of a Turkish offensive. Turkey views the YPG militia as an extension of the outlawed Kurdistan Workers' Party (PKK), which has waved a 34-year insurgency in Turkey. "This will give a big push towards ending the occupation and terrorism in Syria."